These gluten free chewy dark chocolate brownies have a rich chocolate flavor, and super chewy edges. No cocoa here, just smooth melted chocolate. They are easily made dairy free too! I know, I already have the best gluten free fudgy brownie recipe already posted on Flippin’ Delicious. 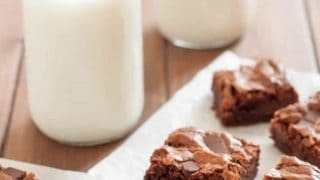 I still believe they are the best fudgy brownies, but there is a little room for another recipe in the spotlight. So I continued to search for the perfect brownie recipe for my picky husband. I created a secret board on pinterest titled “The Search for the Secret Brownie” and I kept baking! 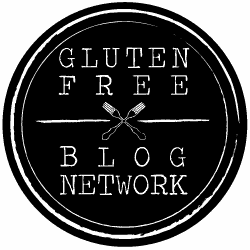 When I ran my own gluten free baking company 3 summers ago, I tested several recipes, making tons of tweaks, and THIS recipe. THIS RECIPE. is the one that finally satisfied my husband. It is also my sister’s favorite recipe. For quite awhile she would always request these brownies whenever we had a family gathering. 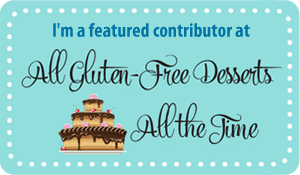 And then I included the recipe in my cookbook, The Essential Gluten Free Cookie Guide. 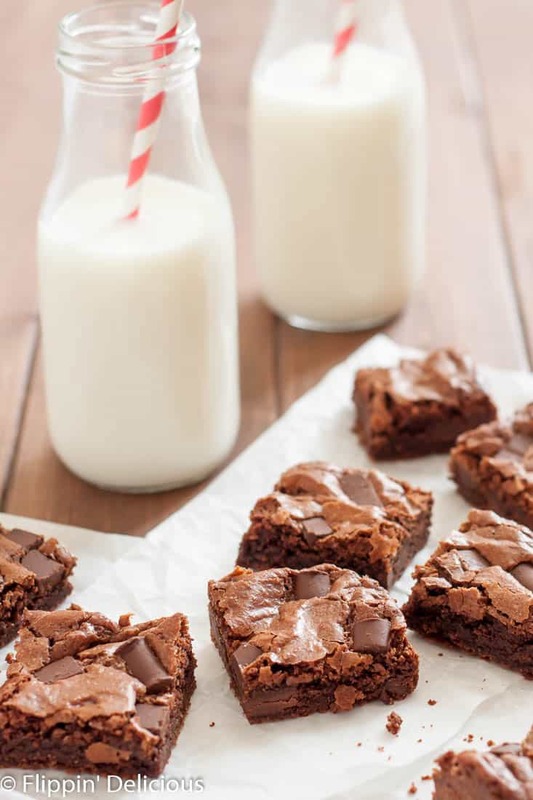 Now whenever I have a brownie craving, it is hard to choose between my best gluten free fudgy brownies OR these super chewy gluten free dark chocolate brownies. As the brownies bake they get that perfect flaky top. The huge chocolate chunks are just a bonus! This recipe does use almond flour (sorry all of my nut-allergic friends!) The almond flour really contributes to the chewy texture. 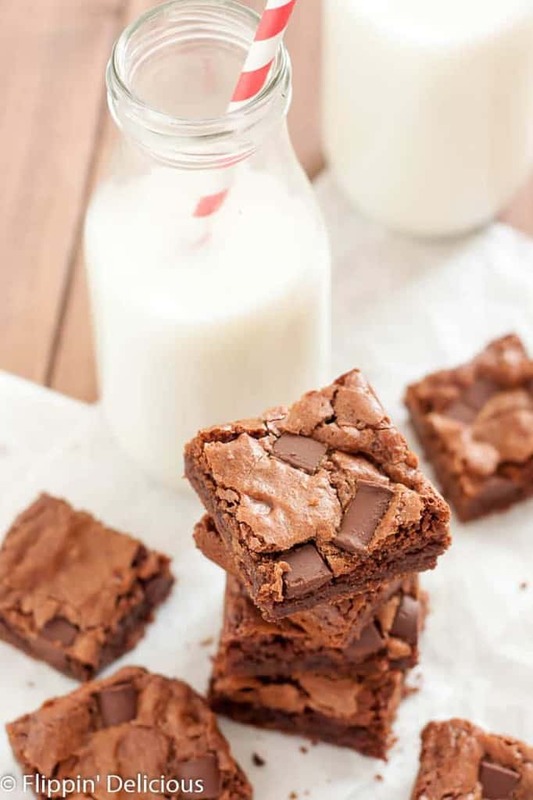 I do not know of a good substitute, so if you have to skip almonds I would suggest trying my other brownie recipe instead of trying to adapt this one. I buy my gluten free almond flour on amazon. This recipe does work well with egg substitutes (I always use a flax egg.) I adapted the brownies I used in my gluten free vegan brownie ice cream cake from this recipe. These brownies they are just a bit fudgy too. I always under-bake mine a bit because I love that fudgy bite so much! 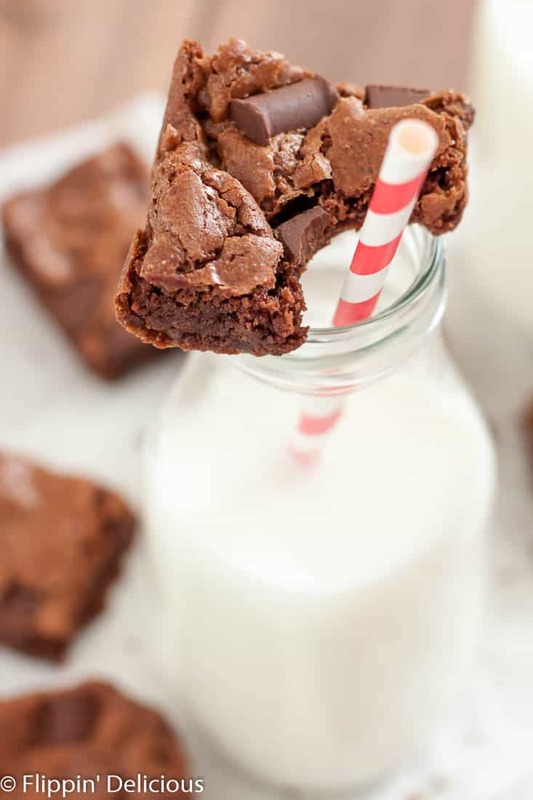 However they are not nearly as fudgy as my other gluten free brownie recipe, so if you tried it and it was too fudgy for you, I bet you’ll love these chewy dark chocolate brownies. Preheat the oven to 350F. Line a 8x8 inch baking pan with parchment paper or lightly grease it. Let cool slightly, then stir in the sugar. Stir in the almond flour, gluten free flour, and salt. Add the eggs one at a time, stirring until thoroughly combined after each addition. Let cool before cutting, if you can wait! Now I want brownies. These look AMAZING!!! Yum! I’m going to have to make some soon. Wow Brianna! These cookies look amazing. So fudgey, rich and decadent! They look divine, Brianna! Can’t wait to try! I can tell just by looking at the color of the center of these that they’re PERFECT! 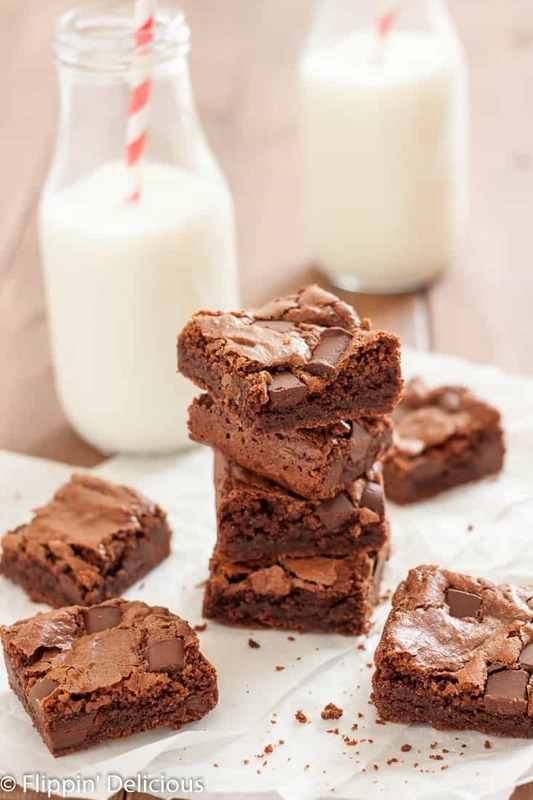 I always screw up brownies, so you’ll just have to send me a batch! What egg substitute do you recommend? I’ve tried so many and I feel they’re the clincher in the brownie texture. 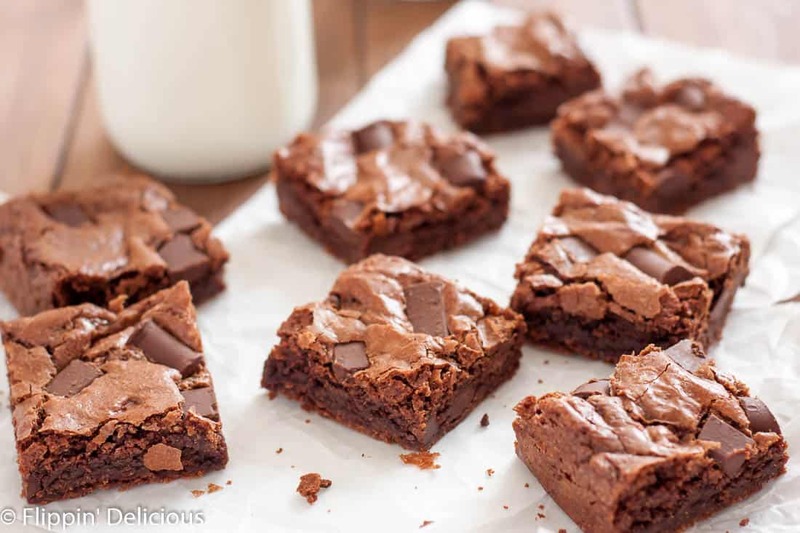 I’ve never found one vegan brownie recipe that has the right texture and I’ve tried so many!! It’s my holy grail. My go to is a flax egg. I use 1 tbs flax meal and 3 tbs warm water, mix and let sit for 5 minutes. I have made this recipe and got pretty similar results with the flax egg. I made a few other changes to it too, though. The vegan version is in my Gluten Free Vegan Brownie Ice Cream Cake.